Block scams and protect your privacy with Malwarebytes. 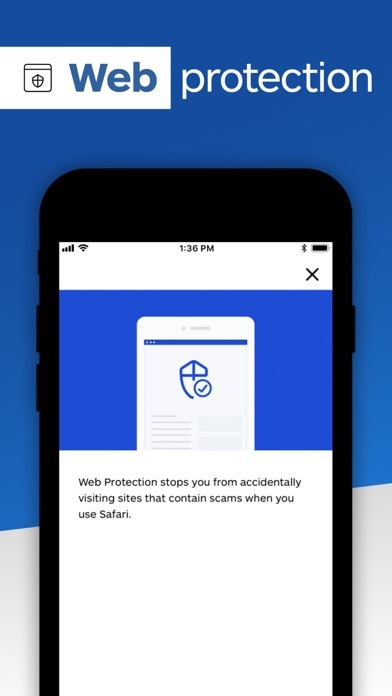 Block disruptions like: • Phishing scams, tech support scams, and other malicious sites • Deceptive sites and other forms of suspicious content • Calls from known and suspected scammers • Ads and ad trackers which watch your behavior online • Fraudulent text messages Benefits: Premium ($1.49 per month, or $11.99 per year) • Block phishing sites, online scams, and other malicious sites with Web Protection. 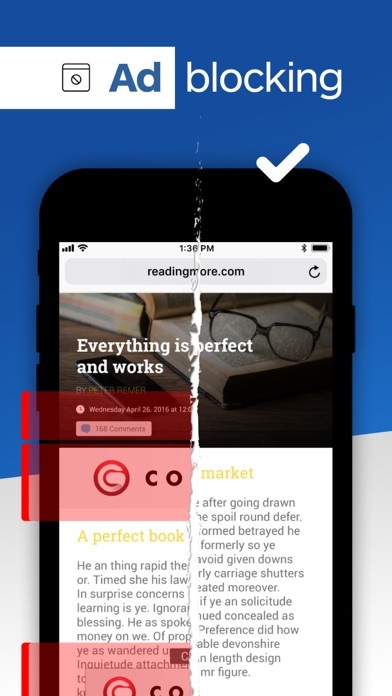 Browse the Internet with Safari without worrying about accidentally visiting a fraudulent site. • Ignore fraudulent calls with Call Protection. 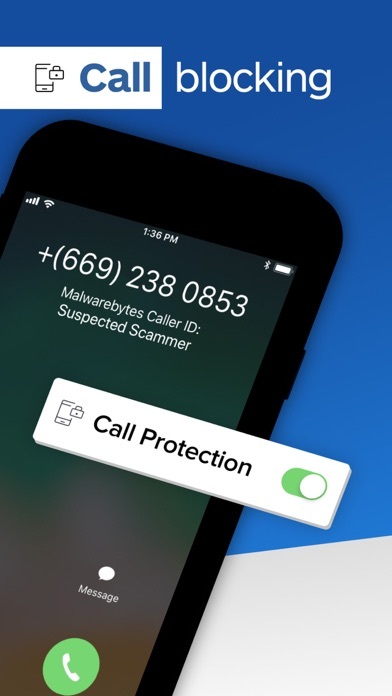 Get caller ID warnings or block incoming calls from known and suspected scammers, including “spoofing” calls that make their number appear similar to yours. Answer the calls that matter and skip the ones that don’t. Free • Block intrusive ads in Safari with Ad Blocking. Stop ad trackers from watching your behavior online and sending you targeted advertising. Browse the Internet with fewer distractions. 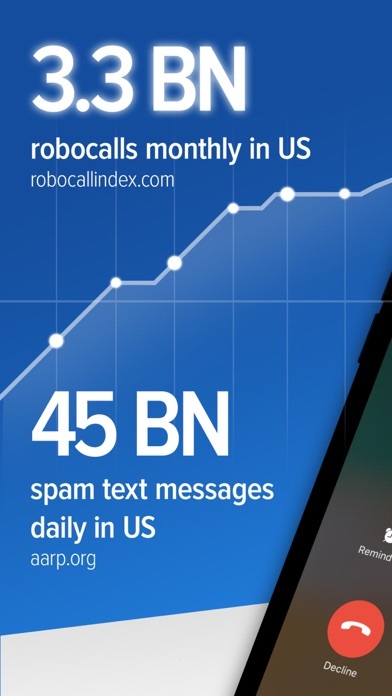 • Ignore suspicious texts with Text Message Filtering. Forward fraudulent texts to a junk folder sent from a list of known scammers or containing phishing links. Focus on the messages that matter to you. iPad/iPod support: The current app is optimized for iPhone, but iPad and iPod users can still take advantage of Web Protection and Ad Blocking for a cleaner Internet experience in Safari. Future updates will include user interface improvements for iPad and iPod users. FAQs: Does Family Sharing cover premium features? No. Family Sharing only works on the free version of Malwarebytes for iOS. Premium features are limited to the purchaser’s Apple ID. To learn more about Family Sharing restrictions, head to the following link: https://support.apple.com/HT203046 I already purchased a multi-device Malwarebytes license, can I use it on Malwarebytes for iOS? No. iOS apps, like Malwarebytes for iOS, are only available on the App Store. 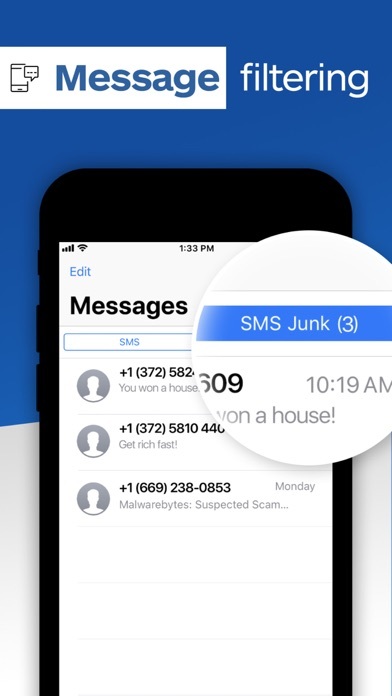 If you have an unused product license that you'd like to use on Malwarebytes for iOS, please contact Malwarebytes support at [email protected] to learn about your options. I already use Malwarebytes for my computer, can I just add an iOS device to my plan? No. Malwarebytes for iOS must be purchased on the App Store. Why doesn’t Malwarebytes for iOS include a malware scanner? It is not possible for an iOS app to scan for malware. Fortunately, the risk of getting malware on an iOS device is extremely low and Apple has a stringent review process regarding app admission into the App Store. About Malwarebytes: Based in Santa Clara, California, Malwarebytes has been building industry-leading Internet security software for more than ten years. https://www.malwarebytes.com/eula/ Subscription details: Payment will be charged to your iTunes Account at the end of the 30-day trial period. Your subscription will automatically renew unless auto-renew is turned off at least 24-hours before the end of the current period. You will be charged for renewal within 24-hours prior to the end of the current period at $11.99/year, or $1.49/month. Go to your Account Settings in iTunes to manage your subscription or turn off auto-renewal after purchase. Any unused portion of the free trial period will be forfeited when you purchase a subscription to that publication, where applicable. No partial refunds.